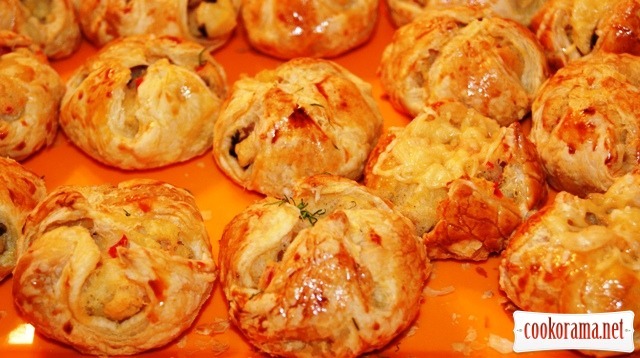 This is my husband's favorite pies which: quickly prepared, quickly eaten and never get bored! 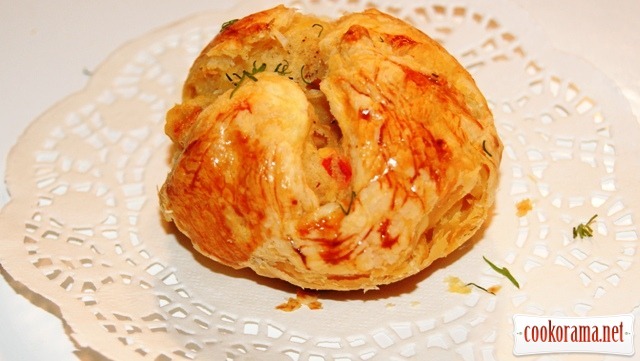 Of course, it is better to cook them from puff pastry home, but we have + 36 ℃, and this dough need cool kitchen, next time be sure to share with you a recipe of French pastry, well, today will bake from ready! Peel and boil potatoes, drain from it all water and grind into puree. 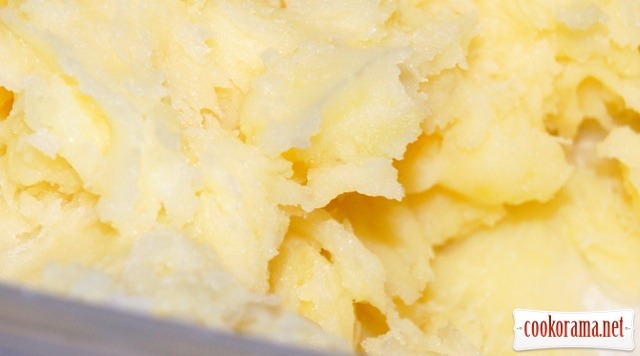 Add curd and nutmeg in puree, stir it. 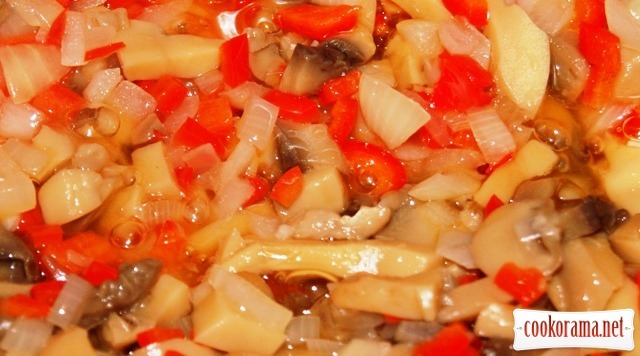 Heat butter in saucepan, stew in it onion, pepper and mushrooms. Stew till complete evaporation of liquid. 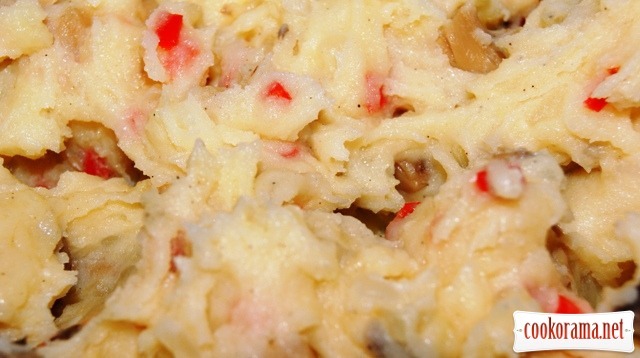 Combine puree with vegetables, stir it. 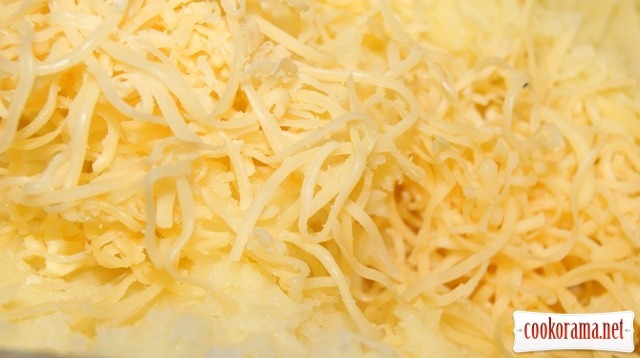 Try, add salt, considering salinity curd and pepper generously. 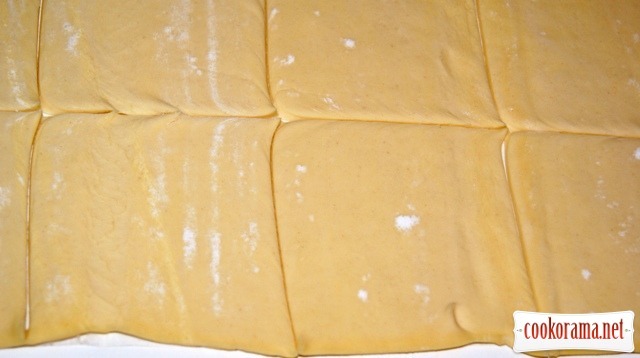 Roll dough and cut in squares. Cover baking sheet with baking paper. 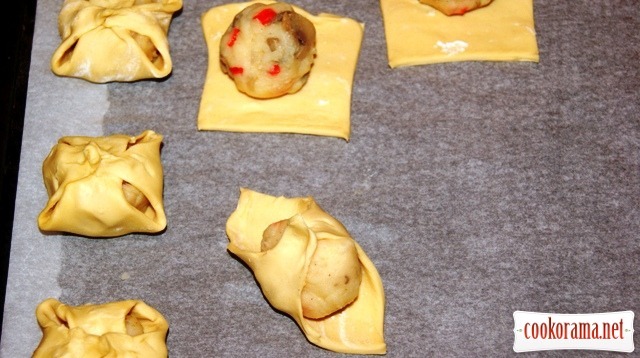 In the center of each square put stuffing rolled into ball. We like a lot of stuffing and thin batter. Connect the opposite ends of dough and place pies on a baking sheet at a distance from each other. 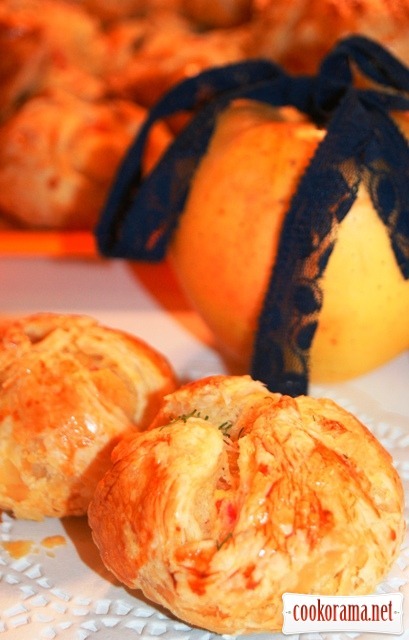 Grease pies with yolk mixed with some drops of icy water and bake in heated at 200 ℃ oven till golden color. 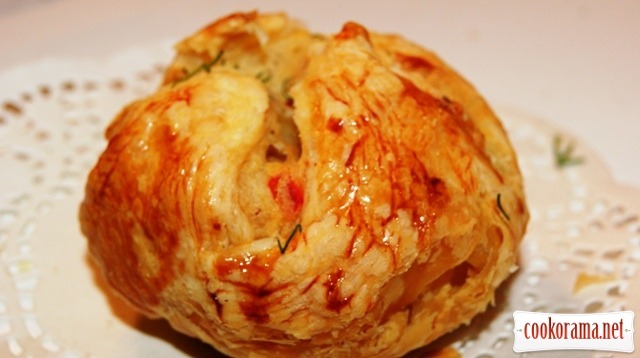 Top of recipe "Puff pies "Favorite""
точно! я в последнее время перешла на простые рецепты! Интересная начинка! Такой еще не пробовала. 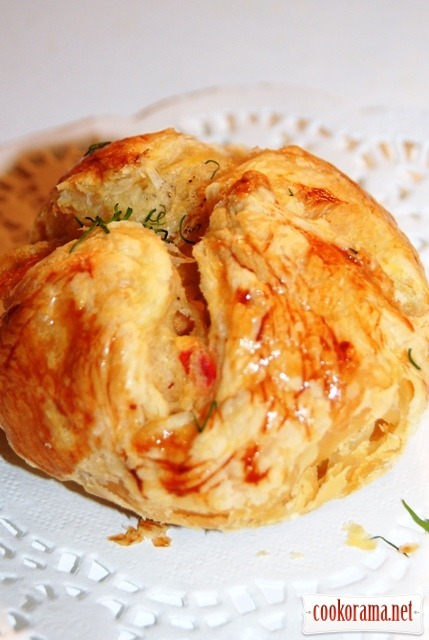 Recipes, Patties, Puff pies "Favorite"